Welcome to my homepage. 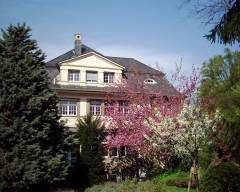 I am part of the Institute for Theoretical Physics at the University of Heidelberg, Germany. I work at Notion Systems, a high tech equipment manufacturer for inkjet, laser and automation equipment which is used in Printed Electronics, Additive Manufacturing and many more industrial and R&D applications. My teaching focuses on two exciting fields: cosmology and renewable energies. If you are looking for a Diploma/Masters or PhD thesis in printed electronics or photovoltaics, please send me an email. © Copyright University of Heidelberg, M. Doran, 2009.